Category Archives for "GPT Sites"
Rewardable App Review – Is It Even Worth Your Time? The Rewardable App is promoted as a way to easily earn extra money online, but is earning money with this app really as easy as it is said to be? Is this actually worth your time? Or is the Rewardable App just another stupid scam that is going to leave you frustrated and disappointed at the end of the day? 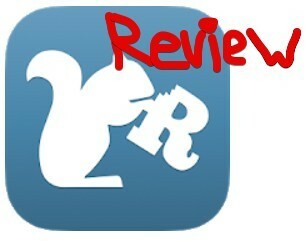 In this review I’ll be going over what you need to know about this app before hand. This is definitely not for everyone and the majority of people out there probably are going to find it worth their time. Rewardable is a rewards app that is available for both android and iOS devices. I have seen advertised as a way to “complete simple tasks to earn money” and on their website they even say “play games, when big, retire early!”. Now can you complete simple tasks to earn money? Yes. But can you win big and retire early? Heck no! This is a very misleading statement that is going to just give people the wrong idea about this app. While you can make money, it is very little and this is one of the main reasons why I say most people are not going to see this as a good use of time. But anyways… There are a variety of ways to earn the money within this app, such as by completing surveys, watching videos, and completing various offers. The app has a point system in place in which you earn acorns which can later be exchanged for real money. Most reward programs like this you some sort of point system, so this is nothing new. As long as the points can be redeemed for something of real value, such as money, then it is fine with me. There are a bunch of different offers that you can complete to earn acorns, definitely no shortage here. You can do things like sign up for free trials, paid trials, take surveys, buy something, and more. Because the offers very so much, so does the reward. For one offer you might only be able to earn 100 acorns whereas another might pay you 2000 or more. This just all depends. And just to give you an example of what you’re looking at here: right now there is an offer to sign up for a free trial of Amazon Prime Video where you will earn 1000 acorns and then there are some surveys where you will earn 100-150 acorns. You you can also get paid to watch videos. Now you may be wondering… How can they possibly pay you to watch videos? Well, it is all about advertising. There are ads displayed that you will also have to watch and these advertisers pay them, just as on TV. The potential earnings for watching videos is incredibly low. Usually you will have to watch hours of videos just to earn a couple hundred acorns which is not even close to being worth it in my opinion. Another way that you can earn is by offering store and product feedback. This could be to leave feedback for some new food at a restaurant, some product, customer service at some store, etc. And apparently you also can get paid a very small amount just for going into stores, without actually leaving feedback for anything. You will only earn around one cent though. Unfortunately this app only gives you the ability to get paid via PayPal. Don’t get me wrong, PayPal is great. In fact, PayPal is my payment method of choice for pretty much everything. That said, it would still be nice to be able to redeem your acorns for gift cards or something like that. This limits the users of the app because PayPal is not available in every country. Hopefully they will have more payment methods in the future. 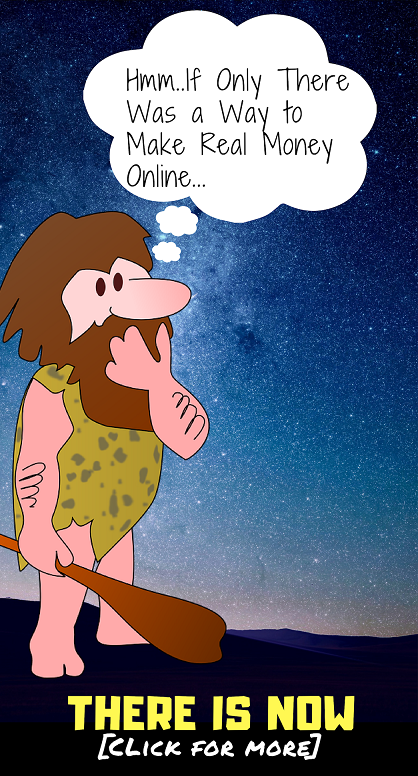 The big question… Is it really worth your time? Well… Let’s talk about this. The first thing that you should know is that 1000 acorns = $1. Yes you read that right. 10 acorns equals only one cent. So that 100 acorns survey that you might have been thinking about taking… Yeah that will only earn you $0.10. And that free trial you’re thinking about signing up for that was going to reward you with a whopping 1000 acorns… Well, that is only one dollar. Those videos you are planning on watching all day to earn 200 acorns… Yeah will have fun making $0.20 and wasting all that time. The bottom line here is that you just can’t earn much of anything with this app, which is why I only recommend it to people who are looking to earn a little extra pocket change. One potential hack that is worth mentioning is to use a fake GPS app along with the Rewardable app to make it appear as if you are going to a bunch of stores. This will give you the ability to earn more money and according to one user it is worth it. That said, I’ve never actually done this and can’t speak on it for myself. And… Even if it does work I doubt it would be hardly worth the extra effort. The low pay is going to be the biggest complaint you will find on this app. No one likes to sit through 6+ hours of videos, thinking that they are earning all this easy money, making 200 or so acorns and then doing the math only to find out that they just earned $0.20. As I said above… This app is only for people looking to earn a small amount of pocket change in their spare time. I would also only recommended to people who are patient because if you are not patient, you will likely get very frustrated and let’s hope you have insurance on your phone. I’ve scam the through hundreds of reviews about this app on the App Store and Google Play. One common complaints that I have found is from people saying they did not get credit for an offer they completed, a video they watched, etc. There are also a lot of complaints from people saying that they have gone paid, but were not rewarded the amount they were supposed to be rewarded… Such as completing a 1000 acorn offer and only receiving 500 acorns. And of course another complaint is that they don’t offer any payment methods other than PayPal. This means that a lot of people looking to use this app aren’t going to be able to. Some people might download the app and find out after the fact that they aren’t going to be able to get paid. There are a heck of a lot of reward-type apps out there, or reward programs that don’t offer apps. What you need to know is that none of these reward programs that pay you to complete simple tasks are going to pay very much. They just can’t afford to. That said, I would recommend FusionCash or Swagbucks over this app. You can earn money with both of these places by completing surveys, playing games, completing offers, watching videos, etc.… And they have much better reviews from users along with having been around for a longer period of time. I don’t think I would go as far as to call this app a scam, but I do have a lot of complaints about it and definitely don’t see it really being worth many people’s time. A lot of people are calling it a scam as though and they do seem to be getting ripped off by it, so it is what it is. This depends on what your opinion of what a scam is. The people complaining about not getting credit for the tasks they have completed maybe have glitches to blame… It is not necessarily the Rewardable app actively trying to scam people. But anyways… I hope you enjoyed my review and found it helpful. If you are going to download this app keep realistic expectations. Don’t think that you’re going to make anything substantial by any means or else you will just end up very disappointed. If you want a better way to earn money online, in your spare time, then I suggest taking a look at this program. This is where I got started back in 2015 when I first started looking for ways to make money online, and to make a long story short, I am still a member and you now make a living working online. You can click the button below to learn more. Comments or questions? Please leave them below and I’ll get back to you as soon as I can 🙂 Also, if you have your own review about Rewardable you should leave it down below. I am sure other readers of my blog here will find it helpful. My Points is a rewards program where you can earn to do a variety of simple things, many of which you probably already do, such as shop, search the web, use coupons, etc. But is this a good rewards program or is it just going to be a waste of your time? Is My Points a scam that you should be avoiding? One thing that I have noticed about rewards programs is that they often seem to be better than what they really are. From the outside they seem pretty amazing and you get excited about earning all these rewards, only to find out that they are often nothing more than wastes of time. In this review I will be going over how My Points works, the different ways that you can earn through them, their referral program, how much you can realistically make, complaints and more. My Points was established way back in 1996. I believe when it first started out it was just a rewards program for shopping, where you can shop at a certain partnered retailers and earn points or cash back. However, they have since expanded their rewards program and now give you a number of different ways that you can earn points. What’s the purpose of earning points? Points are redeemable for a variety of different gift cards and prepaid Visa cards, which have real value. I’ll go over more about this soon. Overall My Points it is a legitimate rewards program but they are nothing special. It depends on what you’re looking for, but many people consider earning points of this place a waste of time. They also have a Google Chrome extension that makes this easier. Basically you enable this extension in your browser and it will alert you when you are shopping eyesight that you can get rewarded for. What this allows you to do is easily get rewarded without even clicking through their online portal. Go about your normal business and the extension will let you know when getting pointsback is possible. There are all sorts of deals that you can get where My Points will reward you for. These include a variety of different things, such as signing up for free trials, signing up to receive samples, spending a certain amount of money at a certain place, and all sorts of stuff. In addition to their little cashback program, they also provide coupons for shopping. Not only will you get the benefit of the coupon, which may give you some product discount, but you also get rewarded with one point for each coupon that you print out. However, as you will see, one point is that much of anything. Of course they have surveys… It seems that every type of reward site out there has surveys these days. What you will do here is first fill out your profile so that they know a little bit more about you and can send you relevant surveys. You will then start to receive short surveys that are usually around 10 to 25 minutes in length. There are a bunch of short random videos that you can watch and get paid to do so. However, this is largely a waste of time and you get paid next to nothing. I would only actually ever watch videos if there is something interesting that you would want to watch regardless. You can earn anywhere from 3-20 points per dollar that you spend through different travel services, such as Travelocity and Expedia. The daily poll is a short poll that only takes about two seconds to complete and you can earn points from. However… As you can imagine not much. Like Swagbucks, they also provide their own little search engine. You are able to use a search engine like Google, Yahoo and others to search the web and earn points for doing so. This is something else that is very easy, but you really will earn much at all here either. One thing that I am really disappointed in his their referral program. It doesn’t work like most other reward sites’referral programs. How it works is you will be able to get 750 points when you refer someone in they make a merchant purchase of at least $20 within 30 days, meaning that the person you referred would have to make a purchase through the My Points portal. This is something that I doubt most referrals are actually going to do and this is why I am disappointed. Many of the people you refer here are not going to bring you any reward. It would be nice if this referral program offered you a percentage of their lifetime earnings, like many other reward sites do, but they do not. Well… It depends. What you have to look at to determine how much you can actually make are the rewards that you will be redeeming your points for. These consists of gift cards and things like prepaid Visa cards. There are all sorts of gift cards that you can get here… Gift cards for Amazon, Applebee’s, Best Buy, Dell, Footlocker, eBay, Home Depot, in the list goes on and on and on. It definitely is no shortage of available gift cards here. But anyways, they range in the amount that they are actually worth, but generally anywhere from 120 – 200 points is going to equal $1. So ya…. You will be making next to nothing for much of what you do here which is why so many people complaining about it being a waste of time. Many of the complaints I found on SurveyPolice, which is a site where anyone can leave their own user review. It is a great place for finding real complaints from real users. Some people are complaining that their accounts have been deactivated soon after they tried to cash out, which seems to be an attempt from My Points to get out of paying them and save money. I am not sure how true these complaints actually are, but I have seen things like this before from rewards companies like this. Not take note, there aren’t very many of these complaints, but nonetheless there worth knowing. If you are looking to use this site for taking surveys it might not be that great of an idea. From what I have seen and read those survey rewards program isn’t all that great. One complaint you will find a lot of comes from people being upset after being disqualified from surveys over and over again. What happens here is they offer you a survey, you start to complete it and then get disqualified once they decide that you are not the type of person they are looking for. This can be very frustrating to say the least. Obviously the low pay is going to be a big complaint. This income opportunity is definitely best looked at as a way to earn a little bit of extra pocket change, nothing more. Getting paid very low here isn’t something that I would complain about, because I already know what to expect when joining these types of programs, but for some reason some people are expecting more in get disappointed when they find out how low they actually are being rewarded. So is My Points a scam? Absolutely not. The people calling this place a scam simply do not know what a scam is. This place does reward you like they claim to and you really can make money here. Maybe some people have gotten screwed over and had their accounts shut down for reasons that they find illegitimate, but this does not happen often and when it does happen I am sure that there is some sort of reasonable explanation for, such as terms of service violations or something like that. That said…. For many people out there My Points it is going to be a waste of time. Taking surveys, playing games, watching videos… Those are all mostly wastes of time. The cashback program is one of the only nice rewards that My Points offers because you are just doing shopping that you would do regardless. However, there are other sites that are strictly cashback programs that are much better in my opinion. If you are looking for a good cashback program then BeFrugal is one of the best out there that I know of. Mingle Cash is a program that I have been seeing promoted online a lot as a good way to make money, but is it really? I’ve seen plenty of different programs/systems that people tell you are amazing but have looked into them and found out that they are complete waste of time. Is Mingle Cash a scam in one way or another? Will it be a waste of your time? Or is this the real deal? The truth is that this place is not nearly as good as some of the promotional material lead you to believe that is. In this review I’ll be going over the reality of things. I’ll cover how you actually make money with this program, how much you can realistically make, some of the lies and misleading information that you are told, and more. Mingle Cash is a GPT website that was created by a guy named Andrew Gitt. GPT, if you are unfamiliar with this acronym, stands for “Get Paid To” and these types of websites basically just pay users to perform very simple tasks, some common ones being taking surveys, signing up for free trials, surfing the web and more. They make it seem like you and make tons of money surfing the web and referring other people to join, but the reality is that you more than likely will not make much. I’m not saying it is impossible. It is possible… Just very unlikely. Inside the dashboard you will see a section where you can “play & earn”. This section includes games that you can play and earn money. The reason they pay you to play these games is because there are advertisements that you will see and of course companies are paying them to show these ads. It is the same type of deal when it comes to the videos. You will be able to watch videos and earn money because there also be advertisements displayed that you will see. The Offer Wall includes a lot of different things. You can earn by downloading apps, subscribing to free trials, taking surveys, and other things. Overall you will not make much money at all with any of these GPT tasks, especially playing games and watching videos. Is This Really As Amazing As They Say? Nope. The short answer is no, it is not. Playing games, watching videos, and surfing the web will not make you much money at all. There are plenty of different GPT websites out there, like Swagbucks & Time Bucks for example, but none of them pay very much money. The main way to make money with this program is what the referral program, which is the reason you will see people going around promoting it like crazy. They have a 10 level referral program where you can earn money up to 10 levels deep in your downline. This means that you can earn from the people that you directly recruit in (level 1), from the people that they recruit in (level 2), from the people that those level II people then recruit in (level 3), and so on… All the way down to level 10. This creates a pyramid -like structure that branches out towards the bottom in funnels earnings up to you who are at the top of your own little pyramid. How much will you earn off of each person? It depends, between 1.25% and 5%. In order to earn 5% you will have to view at least 40 ads per day. And when I say you are earning from the people beneath you, what I mean is that you are earning a percentage of what they earn. On the promotional page for Mingle Cash they give you an example of how you could make up to $24,000 per day from the referral program. While this is possible, this is one of the most ridiculous and absurd claims I have ever seen. The chance of this happening is pretty much 0%. If you are just an average person then there is absolutely no chance this is going to happen. You’re going to have to have a means to make mass referrals if you want to fill up a downline 10 levels deep like this. So you’re either going to need a massive social media following, a website that gets tons of traffic, or some sort of resource at your disposal to refer tons of people, which most people don’t have. In addition to this, many of the people that you do referring to this program are going to end up quitting once they find out that it is a waste of time. The example below assumes that everyone continues to make money with all the GPT offers. All The “Success Stories” Are Fake! Something I also want to bring to your attention is that all of the success stories that are shown on the promotional page are fake as can be. As soon as I came across these testimonials I knew they were too good to be true. The one below it is of a guy named “Bob Wilson” who talks about how Mingle Cash changed his life for the better. I ran a reverse Google image search and found that the picture used here is actually a stock photo that can be purchased by anyone used online. It is a fake! And the same goes for “Camilla Fernandez”… Her testimonial is fake as well. I did the same thing here, ran a reverse Google image search and found that this image is used on many different websites, which probably means that is also a stock photo. The Video Testimonials Are FAKE Too! Also on the website they show user video reviews from people of claiming that this program is amazing. As soon as I saw the one woman in the video I recognized her immediately. I have seen her before and other testimonial videos in that is because she is actually a paid actress that you can hire on the digital freelance marketplace Fiverr.com. Now I wouldn’t call this place a complete scam, but I guess this is largely based on what your opinion of a scam is. You can make money with this program, it is just that they mislead you a time and make you think that you’re going to make good money or even possibly strike it rich, which is far from the truth. On a positive note, they do provide you with an e-book that has some valuable information when it comes to making money online like this. So that is good. The downside is that making money with GPT websites is largely a waste of time. There just isn’t much money to be made in this industry because there is no need for these types of websites to pay out anymore. They get plenty of people to take their surveys, watch the videos, play their games, etc. for very cheap. If you are looking for a way to actually make good money online, with the potential of earning a full time income, then I would suggest checking out how I make a living working online. I have been doing this since 2015 and have been able to work my way up from nothing to earning a full time income. Please leave any questions, comments, or concerns below and I’ll get back to you as soon as I can 🙂 Also, if you have your own review of Mingle Cash I would appreciate it if you also left that below. I am sure that other readers on my website would to find it helpful to get someone else’s opinion on things.